Rustic Mud Kitchen | Natural Play - Maple Leaf Designs Ltd.
Our Rustic Mud Kitchen makes a perfect focal point for your natural play area. 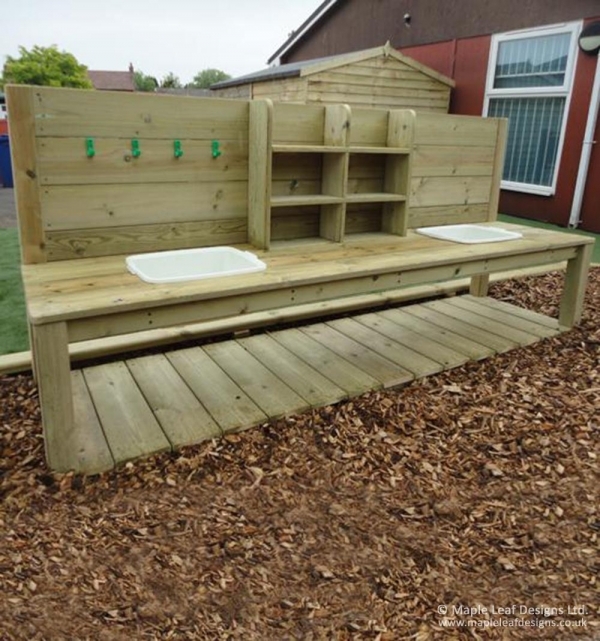 It’s an ideal space for the children to experiment with natural elements in a roleplaying environment, while its clean timber construction ensures a non-invasive appearance to suit any area. The Rustic Mud Kitchen includes two basins and a central worktop for children to put together their muddy creations, with cubbies, hooks and a lower surface to store all of the utensils that they’ll need.